Polymerizing Vinyl Chloride (PVC) Schedule 40, Cap Fitting, Fitting Dimensions are 1/2 inch SOC. Used to connect to piping/fittings, such that flow is stopped. 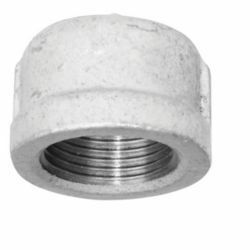 The PRO-CONNECT<sup></sup> 3" flexible pipe cap is designed to cap pipe ends, cleanouts and open pipes in drainage, waste and ventilation systems. Elastomeric gasket ensures the flexibility, durability and corrosion resistance of the cap.